How To Pray For Unfaithful Husband. When you pray for unfaithful husband do not just make some wishes to God and hope for the best. Prayer is making your requests to God and receiving answers on those requests at the right time. When you pray as commanded, you receive your answers complete. Obviously, this is not a simple matter for many people who struggle in prayer daily over their husband’s cheating attitude. Prayer is a learned skill, involving combination of the spoken word, attitude, method, delivery and reward. So, until you receive what you pray for, you have not prayed the Bible way. 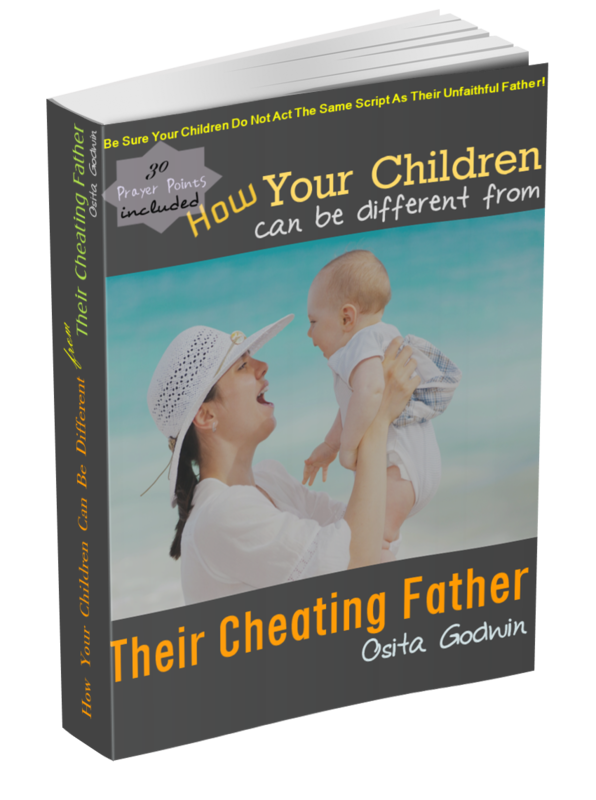 Tested...Powerful...Authoritative Prayers Targeted Specifically to Change The Cheating And Lying Husband To A Decent, Faithful And Responsible Husband. 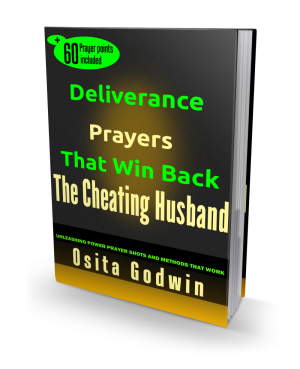 How To Pray...When To Pray...What To Pray For Quick Turnaround Of The Unfaithful Husband. Authority For Prayer Against Your Husband’s Infidelity. There is an important point to note about prayers -- there are different kinds. Each request before God will require a different key combination to produce desired answer. However, some factors (like praise, thanksgiving, faith) must be in every prayer. Before you pray, consciously locate your prayer type and use the right prayer key. Fortunately, all the keys are in the Holy Bible. Here, we shall pick the right key combination to unlock the door to pray for unfaithful husband. Keys To Use And Pray For Unfaithful Husband. Prayer of Praise And Thanksgiving. (Psalms 100: 1-5) This is the key that takes you into the inner chamber of God to get His unhindered audience. If you pray without praise and thanksgiving, you are merely shouting from the outside – a noisemaker. Praise is a combination of verbal exaltation, thankful songs with happy thoughts. Prayer of Petition. (Philippians 4:6) This is where you say it as it really is and ask for help…urgent help. The cry of prayer is the cry of desperation. This prayer gets best result in the night season, without ceasing, until the deed is done. However, there are few critical rules that you should keep so as not to undermine your prayers against your husband’s adultery. One, you should be sure that you are qualified to ask and receive from God. How? You should be a Christian, living in obedience (2 Corinthians 10). Second, what you ask must be in the will of God for you. I am solid sure if you pray for unfaithful husband, you are on the Lord’s side (Heb. 13:4; Ephesians 5:31). You could search other scriptural authorities and use to present your strong reasons (Isaiah 41:21). Prayer of Faith. (Hebrews 11:6) Here’s the third key combination that will open this door when you pray for unfaithful husband. Well, if you have no confidence in prayer, there’s no use praying, is there? Prayer of Agreement. (Matthew 18: 19) I like to refer to this prayer as auxiliary which explains why many use it when they have tried to pray on their own. Its power and effect could be immense if properly used. This prayer partnership is offered to anyone who desires it and subscribes to our free “Help Me In Prayer!” ezine. So believe in the prayer you’ve made, declare it and wait. One of two things is bound to happen when you really pray for unfaithful husband with these keys. God reveals what next you should do to complete your quest or God brings him home in gradual steps. Every One Can Experience The power Of Prayer. Many are seeing and testifying about the power of prayer at work in their husbands and marriages. Some others need a little help to get there. Whichever group you belong, say something. Somebody may be encouraged or you'll receive timely help yourself. My Husband Is Bewitched And Crazy Over Asian Girls And Dating Sites. My Cheating Husband Has Refused To Change. My Husband Indulges In Several Online Affairs. My Husband Cheats With A Co-worker And Denies. God Answered My prayers Over My Cheating Husband. Striving To Keep My Husband And Marriage.